A 3D, next-gen, science-fiction, third-person shooter. Developer: Deeli Network Technology Co., Ltd. 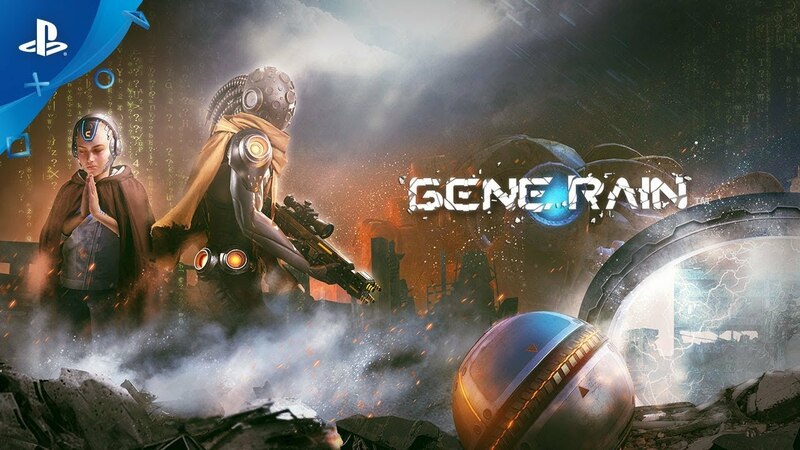 Publisher: Deeli Network Technology Co., Ltd.
"Gene Rain" is a 3D, next-gen, third-person shooter game that linearly expands the plot through new human narrative structures. The game presents a new macro world to everyone through shocking visual effects. We set three camps in the game in which the world environment is the early stage of the three camps' confused fights. Each camp has its own ideas and aims. Players need to control four different characters to finish the tasks according to the plot. There are nine different guns and four of them can be updated. Fifteen years after the release of the Gene Rain, the Death Squad were abducted by the Executors and forced to hand over the memories of 15 years ago. These memories are the content of the game. As the leading figure in the area of science and technology, Bill Feynman was the person who released the Gene Rain, which led to radical changes in human history. Since not everyone was able to accept the genetic changes, scores of people died from these changes after they received the Gene Rain. Hostile forces came into shape in a moment. There are four main scenes in the work: The ruined city, the quiet town, the deep canyon and the dark city. There are more than 15 types of enemies, and we injected perception, data and behavior into the AI, which gives it a "personification" characteristic. Each enemy has its unique attributes and behavior details, which makes the game rich and colorful. 2059--The world was in chaos. The disorderly development of AI had led to the increasing number of refugees. The rationality of existence was reassessed by humans. 2060--The Bill Feynman Research Institute found a solution to change the human gene sequence and relied on its amazing technical strength to develop the airborne fog. 2089--Humans abandoned the Common Era and then established the Gene Rain as the first year of a new era. Twenty years after the Gene Rain, the drawbacks of gene sequence came to emerge and unknown creatures entered the human world. This is where our story begins. 2049--The quantum equation proposed by Bill Feynman was satisfied. 2051--The operating rate of global computers had increased 3500 times, which made Bill Feynman a leading figure in the field of science and technology. 2055--Bill Feynman had successfully obtained various core human gene combinations by boosting the computer performance. 2057--The Bill Feynman Research Institute was established. Copyright © 2018, Deeli Network Technology, Co., Ltd. All Rights Reserved.